The cream of the Irish fashion circuit was on display at the 4th annual Fashion Innovation Awards in the Radisson hotel in Galway on Thursday night. Over 30 Irish designers, who honed their skills both here and abroad, showed off their collections in front of a 600-strong audience at the prestigious event. The winners included Niamh O’Neill, Martha Lynn and Michael Stewart, who won the coveted ‘Student Designer of the Year’ award. The show was produced by the Eddie Shanahan, who has been involved with the production since it began, and was presented and organised by Goldenegg Productions, publishers of Galway Now magazines. Many stylish and well-known faces were in attendance, including the Sunday Business Post fashion editor, Lisa Brady, who helped to choose the winning designers from an array of outstanding talent and creativity. 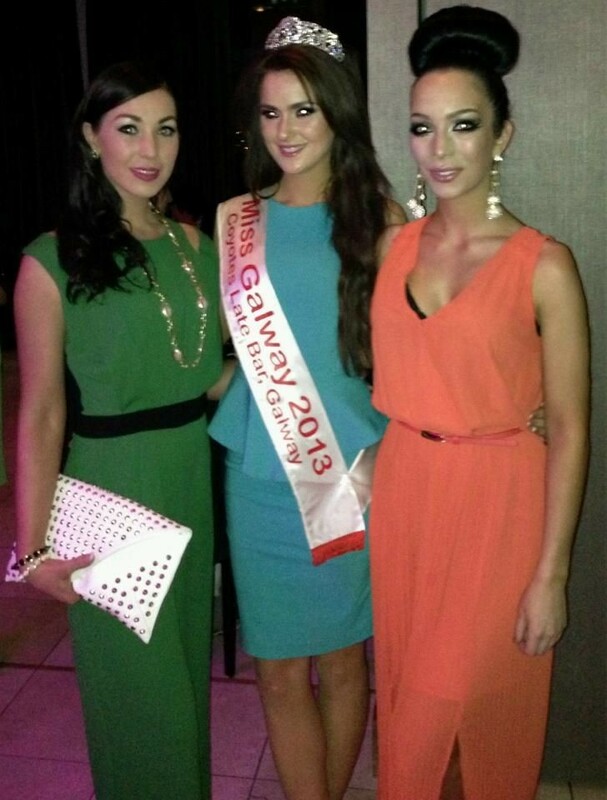 Newly-crowned Miss Galway Laura Fox also attended, wearing a stunning floor length aqua gown, while she socialised with Galway’s top model, Shahira Barry. Guests were treated to goodie bags from Galway NOW magazine, which included beautiful PaperBlanks diaries and money-off vouchers for a range of Galway businesses. VIP guests were treated to an additional goodie bag from Lancome, one of the main sponsors of the event. The models on the night were provided by Morgan model agency in Dublin, who were meticulously styled by make-up professionals from Lancome’s Galway outlets, and Vogue Hair and Beauty on Kirwan’s Lane. Preparations for the show began early on Thursday afternoon, and there was excitement and anticipation backstage as the models had a practice run. Dedicated staff from Galway NOW magazine spent hours preparing the 600 goodie bags for the guests. Style among the guests on the night was fantastic, but one lady in particular caught the eye of the judges. Orla Sheridan, a GTI student, managed to flawlessly blend designer and high street, and won the sought-after ‘Red Carpet’ award for the best dressed lady. Given that the show was followed by a private Mojito party, it’s likely the guests feel the same. The event was featured on TV3’s Xpose on Friday 29 March.